A noon-hour webinar on March 14 will explore the issue of wheat stem maggot damage in corn planted directly into wheat or rye cover crops in 2017. Learn more about what happened and how to plan for 2018. More heating occurs on the south wall of a grain bin on March 1 than during the middle of the summer. As outdoor temperatures fluctuate and eventually start to warm this spring, keeping stored grain cool and grain moisture in check is important to reduce potential losses. Here's how. Q&A: How Often do I Need to Record Dicamba Sprayer Cleanout? Nebraska Extension Weed Scientist and Application Technology Specialist Greg Kruger will be presenting an Environmental Protection Agency (EPA) national webinar March 15 on "Strategies for Managing Pesticide Spray Drift." The webinar is tailored to growers and pesticide applicators. 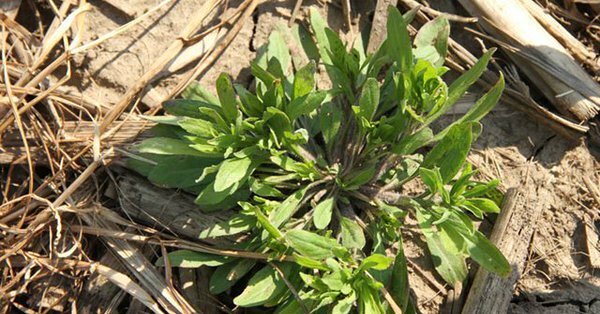 With temperatures beginning to warm up, now is a good time to manage weeds such as field pennycress, downy brome, mustards, cheatgrass, and shepherd's purse in dormant alfalfa without risking plant injury. Five years of grazing research in eastern Nebraska showed that brome/legume pastures produced almost four-tenths of a pound higher average daily gain on yearlings than did straight brome pastures fertilized with 50 lbs of nitrogen. Adding legumes to your pasture mix may be just the boost your production system needs. Constructive receipts, as provided by US Internal Revenue Service code, provide a means for time-sensitive accounting to address transactions crossing over two record-keeping periods. Here's how to correctly use this accounting option. Farm and ranch estate planning workshops will be held at four sites in March. The workshops offer information on how farm and ranch estates can be passed to ensure the financial stability of families. The value of Nebraska's 2017 crops is estimated at $9.52 billion, of which $5.5 billion was from corn, $2.95 billion was from soybean, and $185.3 million was from winter wheat. Nebraska Extension specialists in the ag media discussing challenges of early season weed control, the good and the bad of cover crop insects, irrigated wheat production, and improving use efficiency of applied organic nitrogen.